Take-Two Board chairman Strauss Zelnick recently said during his company's financial results call that Electronic Arts isn't the only company interested in acquiring Take-Two. "We have had and continue to have formal discussions with a number of interested parties," he said, but another "white knight," as analysts have called it, has yet to appear. Forbes magazine thinks it knows who the other contender could be - Ubisoft, after ruling out Activision, who's already rather busy with a very big impending merger with Vivendi. Well, for one thing, Ubisoft's profits are on the rise, reaching a "record high" for fiscal 2008. In March, the publisher reported a doubling of its income to $172.45 million, along with $1.5 billion in sales. Despite its past troubles, Take-Two is pretty top-tier, and very few of its fellow publishers could reasonably afford it - but Ubi's new numbers make it look more feasible for them. In recent interviews with Forbes.com, Ubisoft North America's president, Laurent Detoc, has indicated the company is moving away from a pure games-based business in favor of what it hopes will be long-lived brands, extended across all forms of media. 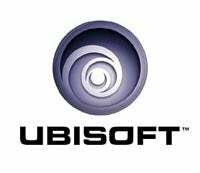 For instance, Ubisoft is developing a TV series and building a computer-generated imagery studio. A Prince of Persia movie, based on the game franchise, is also in the works. There's a lot at Take-Two that could dovetail with Ubisoft's interests. And Ubisoft has been diversifying, expanding into several genres - but as Forbes points out, their sports presence is pretty weak, with only Shaun White Snowboarding in the pipeline. They could really use Take-Two, then. "Ubisoft has shown they do a good job of managing original intellectual property. Culturally, Take-Two developers would not have a problem at Ubisoft because they allow a decent degree of creative freedom," says Doug Creutz, analyst at San Francisco firm Cowen and Co.
Michael Pachter also told Forbes he thought Ubisoft and Take-Two might be a good match. But I've discussed the same matter with Pachter and other analysts myself, and it's likely that once EA gets FTC clearance for the merger, they'll be forced to raise their bid into the $30 per share range, territory that Ubi might be very hard-pressed to top. Still, on that results call, Zelnick was careful to clarify that while Take-Two may be in other merger discussions, nothing has progressed to the negotiation phase.